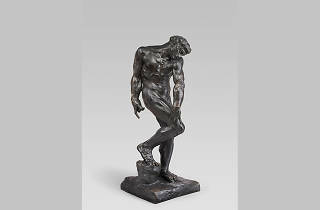 Photograph: Courtesy Art Institute of Chicago Auguste Rodin. Adam, modeled about 1881. Marking the 100th anniversary of his death, the Art Institute celebrates the work of French sculptor Auguste Rodin, showcasing rarely-displayed sculptures and drawings sourced from private collections. The exhibition includes stunning examples of his biblical works, including likenesses of Adam and Eve cast in bronze and marble.